We are API 5L Line Pipe Manufacture,we have more than 15 years experience in our steel pipe field,Our API 5L line pipe refers to seamless steel pipe conforming to API Spec 5L standard. It is widely used for transporting fluids and gaseous materials, like water, petroleum, natural gas, etc.,over long distances. The pipe wall thickness ranges from 4mm to 60mm, and the diameter ranges from 21mm to 914mm.The pipe length is from 3m to 13m. 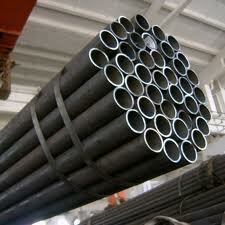 Outer packing: Hexagonal shape bundles wrapped with strong steel strip or according to customers'requests.